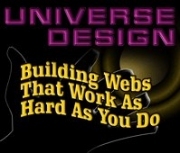 Universe Design is one of the top Joomla!® CMS web design companies in Massachusetts & the USA. Our team of top professionals provide web design and internet related services to a broad range of clients ranging from small businesses to large corporate organizations. Our services include web design, web development, internet marketing, graphic design, multimedia and consultancy. Our aim is to provide our clients with the very best website possible, on time and within budget. Universe Design takes pride in the fresh approach we bring to all web design projects thanks to a unique mix of skills combining creativity and technical expertise. Universe Design is constantly researching new web technologies and the ways in which technology can be harnessed to enhance and promote our clients business activities. Our Joomla!® Content Management Sytems (CMS) puts you %100 in control of your own website. Don't get taken hostage by those other web companies, call or contact Universe Design today and take control of your own web site! If I could give you a web site that had the flexibility to add any type of content yourself, whenever you wanted, using just a web browser on your desktop, tablet or even smartphone and delivered it in 3 days, at an affordable price, would you be interested? Unvierse Design In Peabody, MA Can Get You There At A Fraction Of What You Might Expect To Pay! Joomla!® is an award-winning Content Management System (CMS) that is fully responsive and will help you build your website content and manage powerful online applications. Joomla!® can be used to easily manage every aspect of your website, from adding content and images to updating a product catalog or taking online reservations. Once Joomla!® is installed and running, it is simple for even non-technical users to add or edit content, update images, and to manage the critical data that makes your company or organization go. Anybody with basic word processing skills can easily learn to manage a Joomla!® site. Via a simple, browser-based interface you will be able to easily add new press releases or news items, manage staff pages, job listings, product images, and create an unlimited amount of sections or content pages on your site. Out of the box, Joomla!® does a great job of managing the content needed to make your website sing. But for many people, the true power of Joomla!® lies in the application framework that makes it possible for Universe Design to install and customize powerful add-ons and extensions. Here are just some examples of the hundreds of available extensions Universe Design can build into your website. Universe Design provides professional, customized Joomla website design and development services. Our professional Joomla website design is fast and affordable. We can build a website that works as hard as you do! Contact us for a FREE design consultation and to learn how Joomla is taking the internet by storm! Joomla CMS Websites are suitable for virtually any type of business. Whatever you want to achieve with your online presence Universe will deliver a fast, professional and easy to manage web site. We provide all of these features and functionality for a fraction of what you might expect to pay. If you are qualifying an off-the-shelf content management system (CMS) system or creating your own custom CMS system then the capabilities listed below are imperative to achieving maximum organic search engine rankings. A couple excellent open source CMS systems are Drupal and Joomla. It is easier to configure Drupal than Joomla to meet the search engine optimization (SEO) requirements discussed in this article. 1. Page Header Information (not visible on the page and between the tags). Note that the title, meta-description and meta-keywords tags listed below do not allow html tags at all. a. Title tag - the most important SEO attribute on the page. Summary of Body content, no more than 70 characters, most important keywords in front. Ideally the title will also be of a persuasive nature. The title of the page is what users see and click on in search engine results pages so you have to make your persuasive and sales case in the title. b. Meta-keywords tag - only the keywords that are in body content (spelled exactly the same), all of the keywords on the page, most important keywords in front. Place above the meta-description tag and after the title tag. c. Meta-description tag - summary of body content, no more that 200 characters, most important keywords in front. Since many search engines including Google sometimes use the meta-description directly in their search engine results pages (SERP) as the description of the page this tag should contain keyword rich and persuasive sales-oriented content. We are firmly committed to making the next generation of Joomla the best. Joomla 4 will provide simplicity and a better user experience while also being a more powerful system for developers. Brand new User Interfaces (backend and frontend) to provide a new and improved experience, using Bootstrap 4. What’s the difference between Alpha 5 and Alpha 6? Please visit GitHub to see all changes applied between Alpha 5 and Alpha 6. Joomla 4 Alpha 6 contains various fixes from Alpha 5. Notably, we’ve improved the RTL display, fixed various issues in publishing workflow, custom elements and continued the improvements to the system information view. The bugs fixed in Joomla 3.8.8 has also been merged into this Alpha Release. As in the current staging branch, we would like to state that for any pull request at least two successful tests are required before being merged. Note: All bug fixes and changes made, up to the current release of Joomla (3.9.1) will be included in the release of Joomla 4.0. At the moment only the changes up to and including Joomla 3.8.8 have been merged. What still needs to be done to reach the Beta milestone? 7 releases still need to get merged to Joomla 4. Due to the release of Joomla 3.9, this task will take more time than previously scheduled. As per our development strategy, a beta milestone is considered feature complete but is still not considered suitable for production environments. The software is intended to be tested thoroughly for regressions, security and stability problems. To learn more about our development strategy, please read this article. How can you help Joomla 4 development? To help ensure the 4.0 release and our major features are “production ready”, we need your help testing releases and reporting any bugs you may find at issues.joomla.org. To make the life of testers easier, we will be more strict in updating the deleted files and modifying the SQL changes. This will allow updates between Beta / RC and Stable. Most of all, we encourage extension developers to roll up their sleeves, seek out bugs and test their extensions with Joomla 4.0 and communicate their experience. We are looking for volunteers to take care of the marketing for Joomla 4. We would like to thank all of the people who have taken the time to prepare and submit work to be included in Joomla 4.0. When is the final release due? Joomla 4 is being actively developed but we need more volunteers. We intend to publish one Alpha release monthly and share the progress with the community. At this moment we can't give a date for a final release but due to the amount of work still needed to have a high quality product, we would like to inform the community the stable release is not expected before the end of 2019. We would be able to provide a schedule once we reach beta. The most up-to-date information regarding the timeline will be found in our project roadmap. You can join the testing and reporting to help ensure a solid, timely delivery (see “How can you help…” above). Where can I find documentation about Joomla 4? We have started to provide some tutorials to help you with Joomla 4. We’ll be writing more tutorials to help you understand the major changes of Joomla 4. You can find the existing ones, like how to create a Plugin for Joomla 4, here. We encourage developers to help in writing the documentation about Joomla 4 on docs.joomla.org to help and guide users as well as other extension developers. A JDocs page will help developers to see the existing documentation and the documentation still needed. We invite you to check it regularly, update it and provide the missing content: https://docs.joomla.org/JDOC:Joomla_4_Tutorials_Project. Most of the feature documentation will be needed once we have reached Beta (feature freeze). Should I plan to upgrade to Joomla 4.0? Joomla 4.0 will be Joomla’s next major version. Joomla 3.10 will be released alongside Joomla 4 as the last minor release of Joomla 3 as announced here. Joomla 3.10 will continue to be supported for 2 years giving you plenty of time to plan your migration to Joomla 4 and update your extensions (if required) to become Joomla 4 compatible versions. We will provide resources to help with the migration on the documentation site. Joomla!® CMS - Take Control of Your Responsive Website Free! Joomla is an award-winning content management system (CMS), which enables you to build Web sites and powerful online applications. Many aspects, including its ease-of-use, extensibility and responsiveness have made Joomla the most popular Web site software available. Best of all, Joomla is an open source solution that is freely available to everyone. Open-source Technology – Joomla!® is an open source technology, which means that it is available for free. You need not pay thousands of dollars as a licensing fee and license renewal fees. The framework is released under GNU general public license, so anyone can see the source code of Joomla!® and customize it as per their needs. This is truly a great flexibility for Joomla!® developers. SEO-friendly – This is an another great feature by Joomla!® CMS. Joomla!® based websites are more search engine friendly. There is one Apache module in Joomla!® known as rewrite module. This module enables developers to create SEO-friendly URLs. 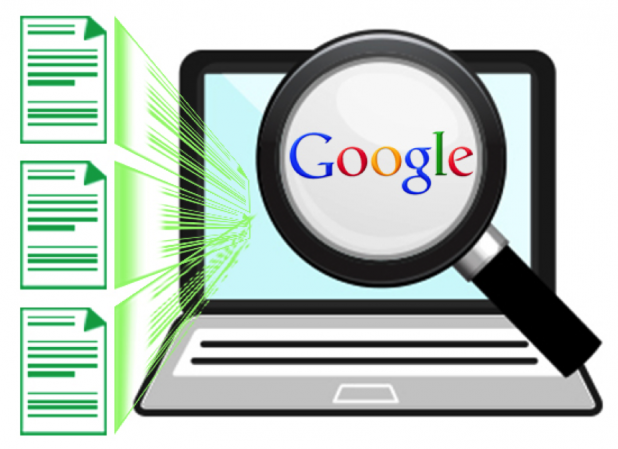 It also enables them to use the custom page title, meta tag description and meta keywords in every web page. Secure – When the matter is about website security, Joomla!® out tracks all other CMS available on the market. The platform is backed by a team of security experts known as 'Joomla!® Security Strike Team'. The primary role of this team is to search and resolve the security problems. To perform this task, the team executes a few automated tests and rectifies all the codes. Thus, you can protect your website from the hackers. All you need to do is, install the latest version of Joomla!® CMS. Language is no more a barrier – One more enthralling attribute of Joomla!® CMS is that it supports a number of languages. This has tempted non-English users to choose this feature-rich and flexible CMS development platform. Joomla!® has different language packs for different languages. Template Integration – Joomla!® allows you to integrate any third-party template in a matter of minutes. All you need to do is open the template file and copy it to the Joomla!® template folder. This way you can change the design template of your website on a seasonal basis. Joomla!® Community – Joomla!® community is a huge community of Joomla!® developers and its users. You may be aware that the official Joomla!® forum is one of the largest online communities across the globe. Community Updates – The community developers work continuously on Joomla!® CMS to deliver hi-end security and advanced functionality. They strive to ensure that their audience uses latest and cutting-edge technology. Joomla!® Extension System – This is truly an asset of Joomla!® CMS. The platform also allows developers to develop custom extensions. And there are a number of inbuilt extensions already available on its official website. Using these extensions, the website owners can enhance the performance of their website. Jooma!®'s extension system includes Plug-ins, Modules and Components. on Sunday, 14 December 2014. This 90 minute webinar covers basic ACL terminology, creating new users groups, assigning permissions, adding new users & assigning users to groups, creating access levels, creating categories, articles and menu items specific for a user group, and testing ACL front end functionality. With this video tutorial you can learn how to make, launch and develop a demo website with Joomla CMS. The presenter demonstrates how to launch a free demo trial site, how to use templates, how to create categories, articles, menu items and modules, and how to create a backup of the Joomla webiste. Your content should be relevant, as well as entertaining and/or educational. And in order to win the war of attention, it should be more useful, and more valuable to the reader than your competitor's content. Lastly, it should be eror free. See how you felt when you saw the misspelled word in the last sentence! Delivering content using one medium is like fishing using one lure; you might catch one type of fish, but miss out on many others. Different people prefer different types of content, and their preference may change based on where they are in the buying cycle. So use different lures, including articles, eBooks, infographics, white papers and more. You want prospects to find you when they are in an active research and buying mode. Ensure they can find you as easily as possible through SEO (search engine optimization), PPC (pay per click), social advertising, content syndication and remarketing. Also, build an easily navigable resource center on your website where visitors can browse your library of valuable content. According to a Marketing Sherpa survey, the top personalization categories are industry, role, company size and geography. However, that's just the start. At Marketo we look at things like buying stage, type of CRM system and whether they are using a competitive product. The more personalized the message is, the more effectively it will speak to your audience. I must count among the blessings of 2015 being lucky enough to discover the tremendous value of working with Neil Fabbo. It's actually difficult to summarize the many strengths Neil brings to an engagement. He cares about the outcome. He brings all his experience, which is both deep and broad. He listens and is not afraid to ask questions or offer constructive alternatives. He has great humanity. Not only does he know Joomla but also he knows how to implement it with an eye to value and iterative growth of website capabilities. He took my skeletal sketch of requirements, worked with me to ensure that each feature was clearly defined, provided tremendous value in the selection of components, went extra miles where need be to get results that were not out of any box, and made the experience one I would not hesitate to repeat. Did I say too that he is honest? We might take this for granted but I can't underline enough how very impressed I was with his character and fairness in billing. A rarity in modern times. if you are looking for a Joomla web development expert who can also provide strong strong practical web business counsel Neil must be among your top choices. this round is believed to not be associated with the slow rollout of Panda and is thought to be something else entirely. The first suspicious results surfaced on Oct. 14-15 as various automated tools reflected spikes in organic traffic for some and massive drops for others. This fluctuation is believed to be in relation to Panda, however the peaks and valleys are not isolated to these two days alone. Oct. 20-21, more dramatic rankings changes were reported; this round is believed to not be associated with the slow rollout of Panda and is thought to be something else entirely. Some have taken a liking to calling the theorized update the “Zombie Update” due to the close proximity to Halloween. And if your rankings were gobbled up, it would seem that zombies are indeed responsible — it certainly makes about as much sense as most other theories when the truth is often weeks away from surfacing. What tactics do you employ to ensure you’re never negatively impacted by one of Google’s updates? With a new year upon us and the 10 year anniversary of Joomla behind us we’re all looking to the future. This is the beginning of a new era in the Joomla community and what we do this year will shape our future. As individuals we have the power to change the community for the better and there is no better time than now to make positive changes. Here are some ways we can make a positive difference in our community this year. Interested in creating Facebook video ads? Looking for an easy-to-follow guide? Facebook video ads don’t require a lot of time or money. All you need is a script and some basic gear. In this article you’ll discover how to design and record your own Facebook video ads. Why Create Facebook Video Ads? According to data from comScore, 64% of consumers are more likely to buy products after watching videos about them. You can use the power of video ads to get more leads and sales for your business. Introduce your brand. This can be the type of video you would normally have on your home page, in which you share your company mission and story.Give value upfront. Use a how-to or tutorial video as an ad. Or simply share great content and get people to click through to your website.Build your email list. Create a quick video introducing your free ebook or upcoming webinar.Share testimonials. If your customers record a video testimonial for you, ask them if you can use it in a video ad. This is a great way to retarget people who have visited your sales page. 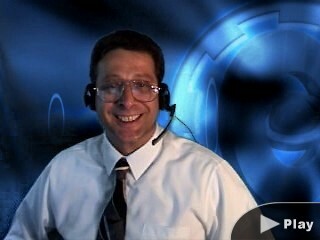 For these videos, use animated text and images, a recording of yourself (or other people) or a combination of both. All of these options can work well, depending on your business and the goals for your campaign. This article focuses on how to create your own video ad, with the goal of building your email list. Here’s an example of what this video ad might look like in a fan’s Facebook news feed. Better Add SSL To Your Website Soon! SSL is a way of encrypting websites to make them safer and less hackable. Google is already penalizing sites that DON’T have this in place. Things are about to get a whole lot worse for pages with logins and credit card forms come January 2017. 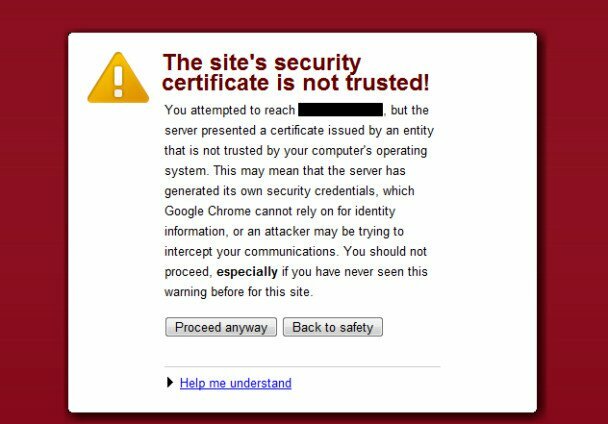 All WordPress sites have a login page, and thus, every WordPress site will need an SSL cert to meet this criteria. Even if you’re using SSL you could still be penalized. Your site has to be FULLY encrypted. That means those that are using mixed content security, forcing https:// on some pages and not others, will also get you into trouble. Currently this change is restricted to Chrome, however, we’re going to see many browsers following suit. Google even gives raking boosts to sites that use HTTPS and has been doing so for some time now! Even if you’re not using Chrome yourself you can’t afford to ignore this change. Windows remains a major player in the professional office space. The same can’t be said for its default browser Internet Explorer. In May of 2016 Chrome surpassed Internet Explorer to become the most used browser of desktop users with 41.3% of tracked traffic. This means that you’re turning off a huge portion of site visitors by not getting on board with the change. First, don’t panic. SSLs aren’t beginner territory, but they can be conquered with a little guidance and help. There are some free SSLs out there. In fact your host may even offer one and there are plenty of paid options. Not all SSLs are the same so you’ll have to be very deliberate in selecting one that is best for your content. The important thing is that you do indeed get one. The announcement does not state it will favor one type over the other. We’re talking to our clients about this and felt it was important to let you know as well. If you want to talk to someone about getting help to determine your options for SSL and getting your site 100% encrypted then do Contact Us. The Joomla Project is pleased to announce the availability of Joomla 4.0 Alpha 1 for download. What’s new in Joomla 4.0 so far? There is one goal for this release: to allow advance testing of custom extensions so that extension developers can report any problems well before the final release. This release includes most of the Joomla Core library changes that will be included with version 4.0.0. Some of these changes will require small changes to extensions. For a complete list of known backward compatibility issues for version 4.0, please see Potential backward compatibility issues in Joomla 4.0 in the documentation site. Joomla 4.0 is known to not be mobile compatible nor upgradable from Joomla 3.9 at this point. For the full known issues with the 4.0 alpha-1 release, please see the version 4.0 Alpha-1 FAQ in the documentation site.